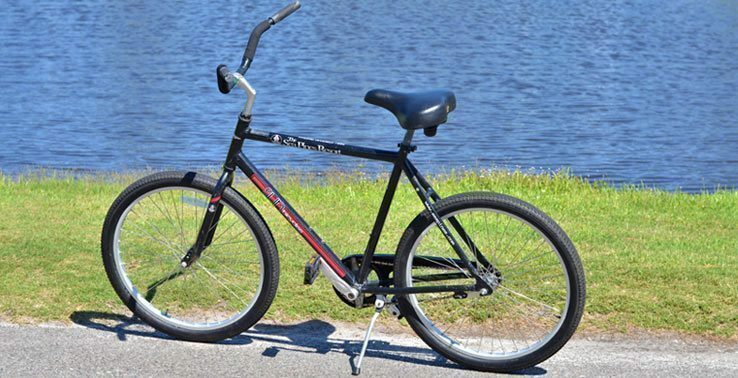 Every major activity within The Sea Pines Resort is connected by a beautiful 15-mile network of leisure paths, and Hilton Head Island's hard-packed beaches are perfect for bike riding. 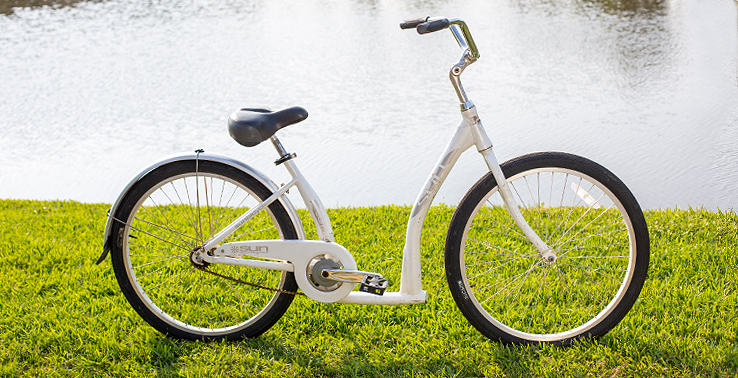 As a result, bike riding is a preferred mode of transportation for many resort guests and visitors. 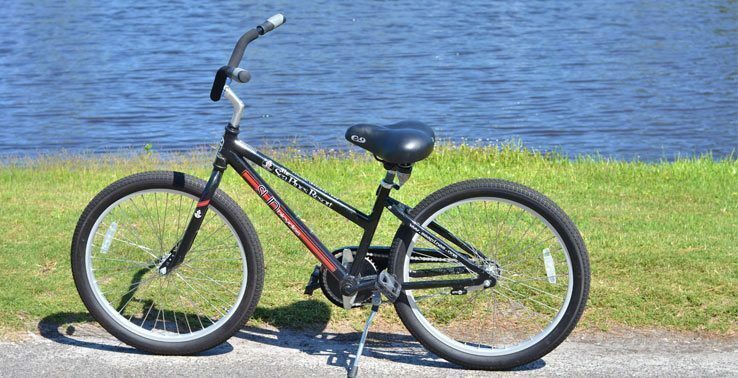 The Sea Pines Resort Bicycle Shop, located next to the Plantation Golf Club, offers a wide selection of bicycles and accessories including adult/child bikes, kiddie karts and more, so you can rent a bicycle and have fun exploring Hilton Head Island on two wheels. 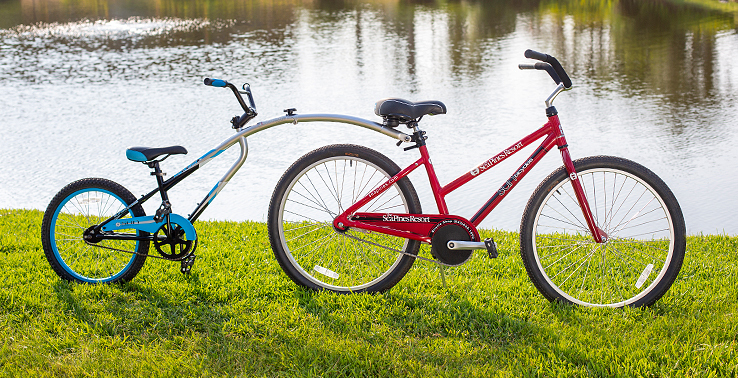 New bicycles, accessories and repair services are offered as well. Discounted rates are available for registered guests of The Sea Pines Resort, via their Guest Amenity Card, and Sea Pines property owners, via their CSA ID card. 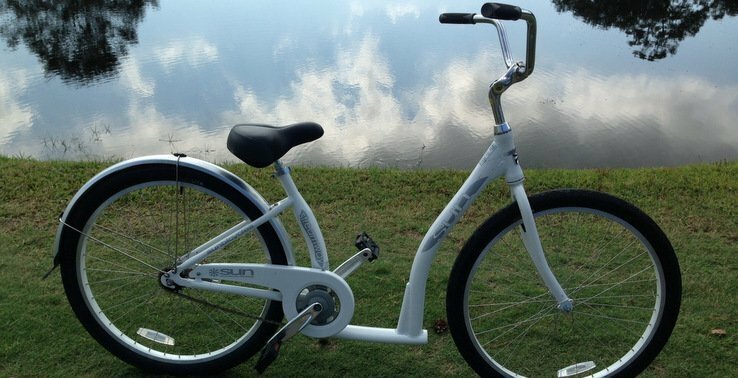 Guests can reserve bikes and equipment in advance and have the items delivered to their home/villa on the date of their arrival. 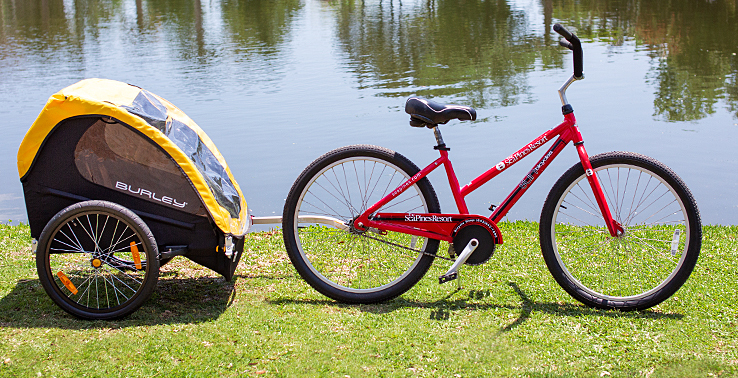 Free delivery is available for rentals of three days or more. Reservations of one week or more in advance are recommended. Advance and same-day bookings can be made by calling (843) 842-1890. 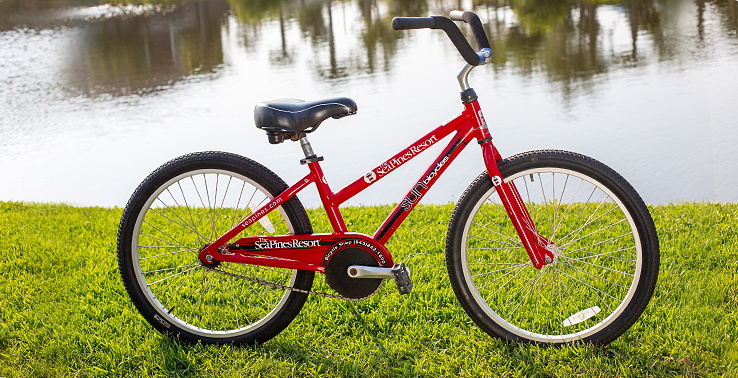 Rental rates can be viewed on the Bicycle Shop Rate Card. Ready to ride? Download The Sea Pines Resort Leisure Paths & Trolley Stops Map to guide your journey around the resort, and be sure to also review The Sea Pines Resort's Rules of the Road. 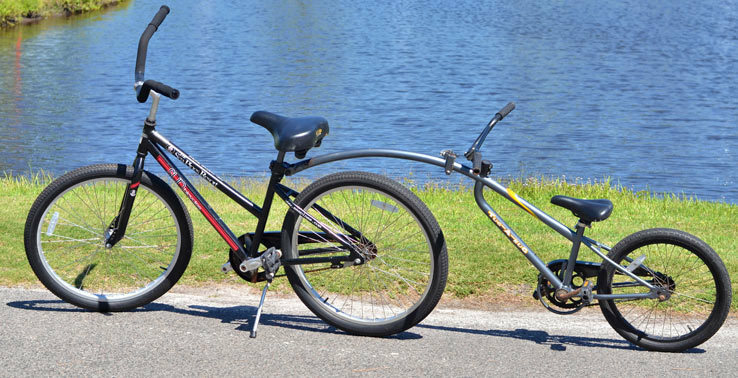 The Sea Pines Resort Bicycle Shop offers bicycle sizes and configurations to suit every cyclist. 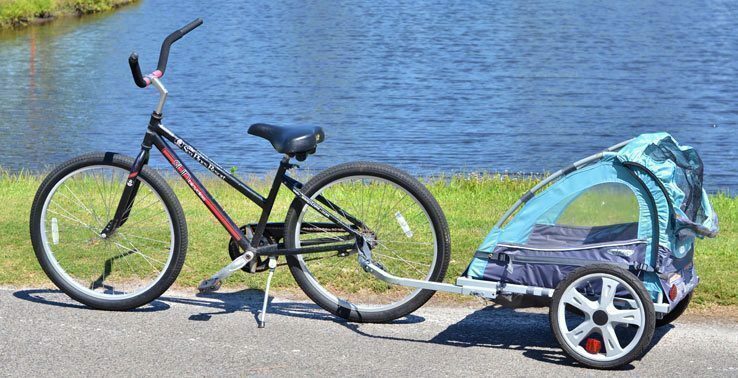 Note: Cargo carts, great for transporting towels, chairs and other items to from the beach, are also available. 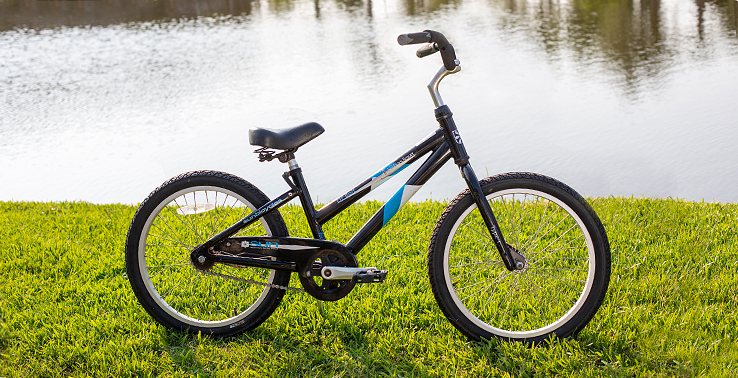 16" Children's Bike: Suitable for children up to 6 years of age, this bike features one gear, coaster brakes and training wheels. 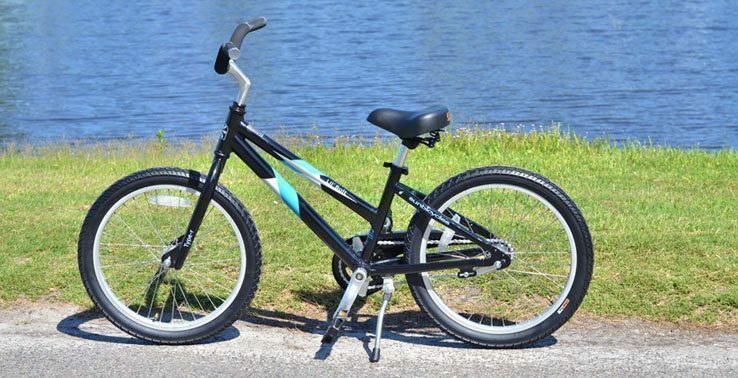 20" Children's Bike: This bike features one gear and coaster brakes, and is suitable for children from 7 to 11 years of age. 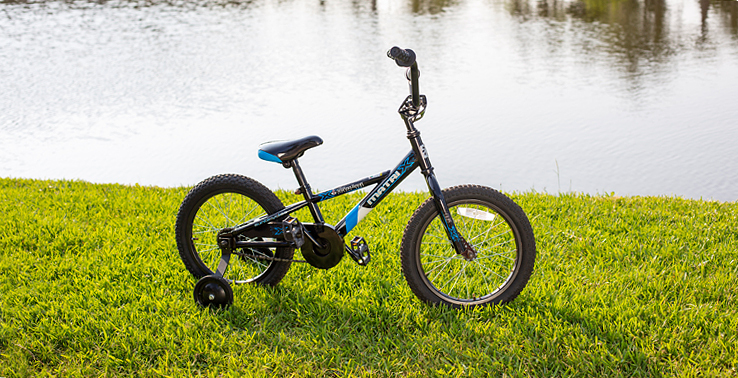 20" Trail-a-Bike: This bike, with a 75-pound weight limit, attaches to an adult bike and offers a single-speed freewheel, enabling children to either pedal or coast. Kiddie Kart: This pull-behind child trailer, with 90-pound weight limit, features harnesses that can accommodate one or two kids, as well as a detachable all-weather cover. Not recommended for children younger than 12 months of age. 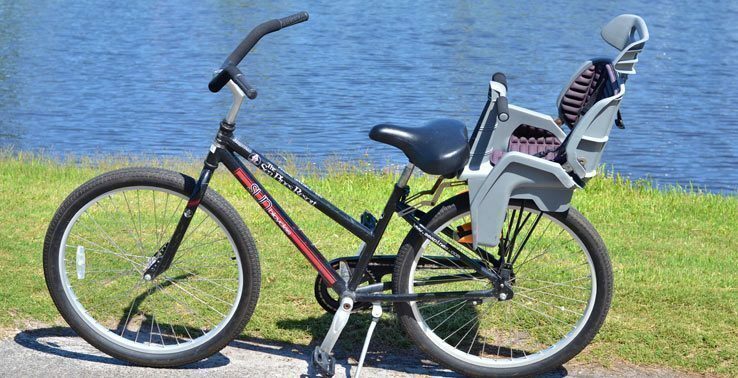 26" Child Seat Bike: This adult cruiser features a child carrier seat, with a 40-pound weight limit, mounted directly behind the rider, as well as a three-point harness and a grab bar. Not recommended for children younger than 12 months of age. 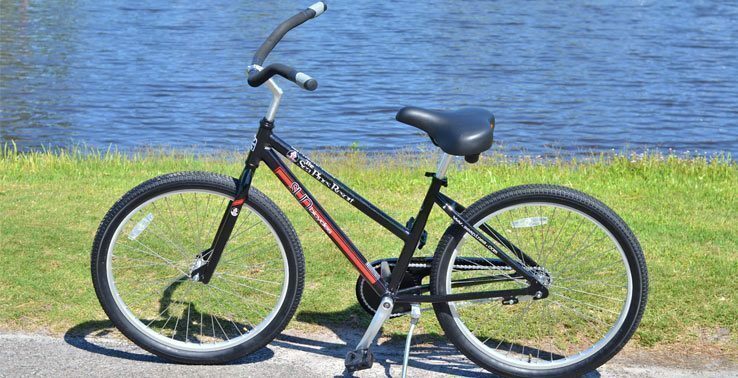 24" Adult Cruiser: Ideal for adults or children who are 5'1" and shorter, this bike features one speed, coaster brakes and a very comfortable seat. 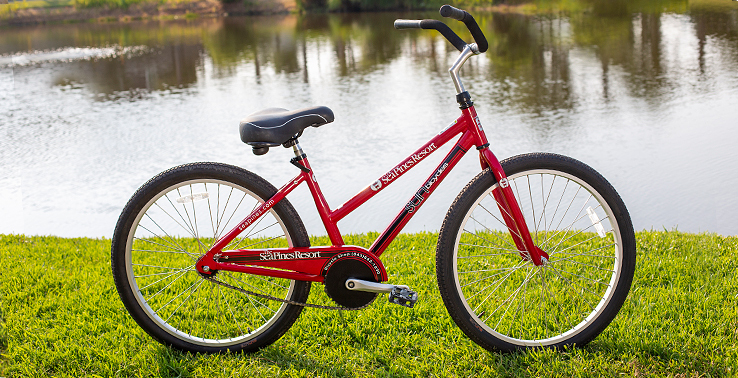 26" Adult Bike: This unisex beach cruiser, suitable for adults or children between 5'2" and 6'1" features one speed, coaster brakes and a wide comfortable seat. 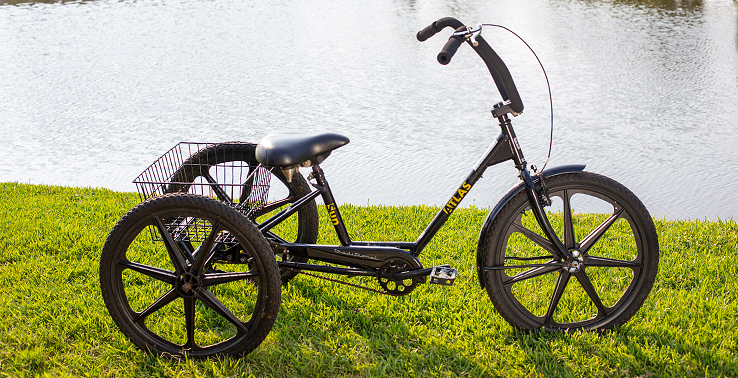 Tall-Frame Adult Bike: This unisex beach cruiser is suited for adults who are 6'1" and taller. 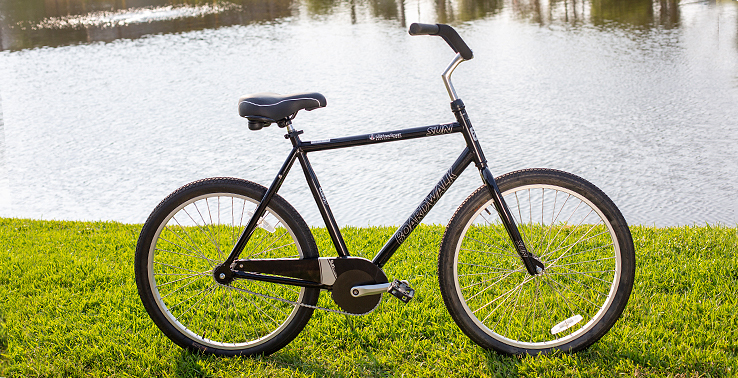 This bike features a men's style frame, one speed, coaster brakes and a wide comfortable seat. 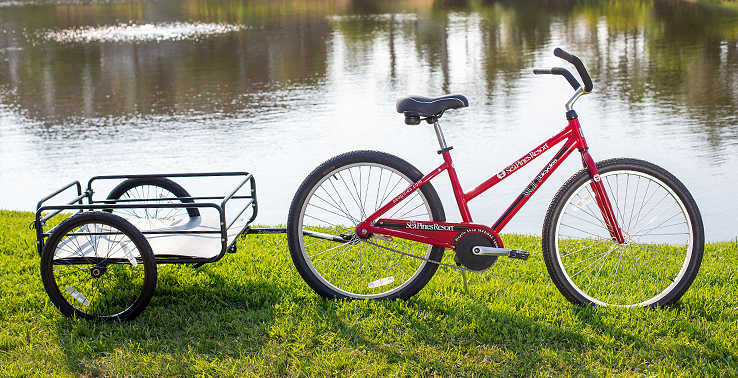 Cargo Cart: This trailer, which attaches to an adult bike, will allow you to haul your beach supplies, groceries, and other fun items during your stay. 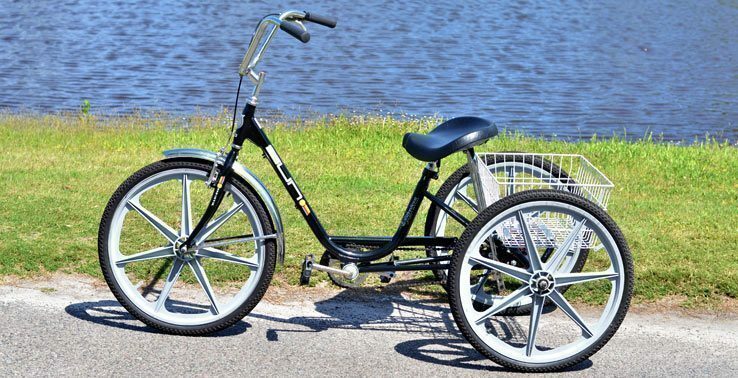 Adult Three-Wheeler: This adult-sized tricycle, ideal for those who have difficulty riding a traditional bicycle, features one speed and hand brakes. 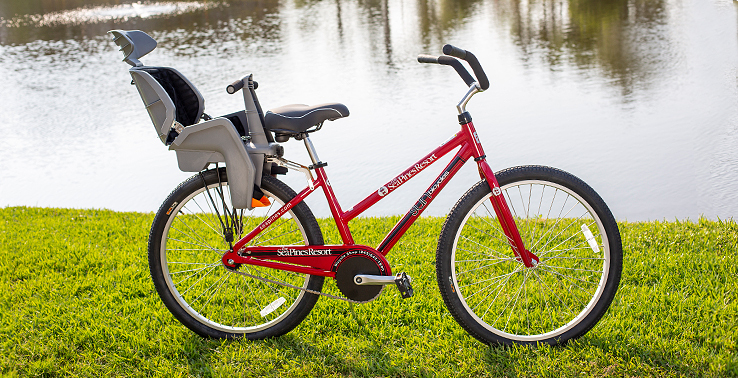 Streamway Bike: This adult cruiser features a step-through frame suitable for the elderly and those with restricted agility.